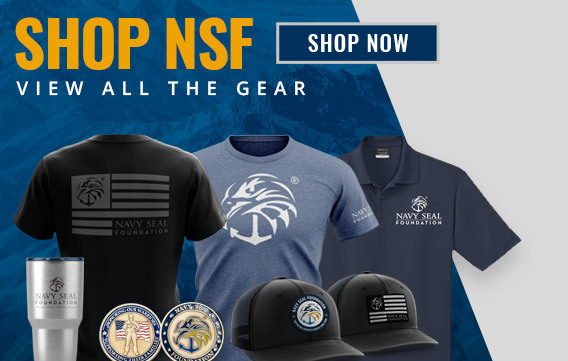 Ensuring our dedicated service members and families have the support they need in times of achievement and adversity is the mission of the Navy SEAL Foundation. We do this by providing a comprehensive set of programs specifically designed to reduce the stressors associated with the uncertainty and pressure that comes with life in NSW. Our programs serve to increase the combat readiness of the force and family. We know that being part of this community is an incredible commitment and one that is not free from burden or sacrifice. Click below to learn more about how we support you. For more information about this support, please click below. When a service member is wounded, ill or injured we work to coordinate the best care possible for them. Working in coordination with Naval Special Warfare commands, the Care Coalition and the U.S Department of Veterans Affairs we help active-duty service members and veterans find the resources and treatments they need and deserve. Each case is different and our support is tailored to meet the unique needs of each wounded, ill or injured service member and his/her family. The Navy SEAL Foundation serves SEAL and SWCC veterans, separated or retired, regardless of their years of active duty service. For more information about these programs, or to request support, please click below. When a service member is killed or dies in the line of duty, the Navy SEAL Foundation steps in to immediately support their families and loved ones. We work to provide and coordinate assistance and we work to ensure an ongoing connection for the families of the fallen with the greater Naval Special Warfare community. It is our goal to provide access to resources immediately following a family’s loss and throughout the many phases of life that follow.